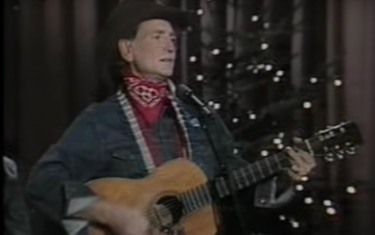 Austin.com A Lone Star Holiday Playlist From Austin.com, With Plenty Of Willie to Go Around! In Texas, we’re always dreaming of a white Christmas, but few of us (outside of Amarillo and the panhandle) rarely get to see it. That doesn’t mean we can’t have a lovely, Texas-themed holiday, and throwing a little Lone Star State music into the mix certainly helps. We’ve mixed up Texas country, honky tonk, pop, blues, and a dash of R&B. So whether you’re driving around finishing up your shopping (with the help of our holiday gift guides), wrapping a pile of gifts, or just kicking back with a tall glass of eggnog, these songs should help to make your spirits bright. Of course, it’s not Texas without a few whiskey or tequila-fueled curse words thrown in the mix, so know that a few of these songs are a tiny bit NSFW/have explicit lyrics. Did we miss any songs that we should add to our playlist?